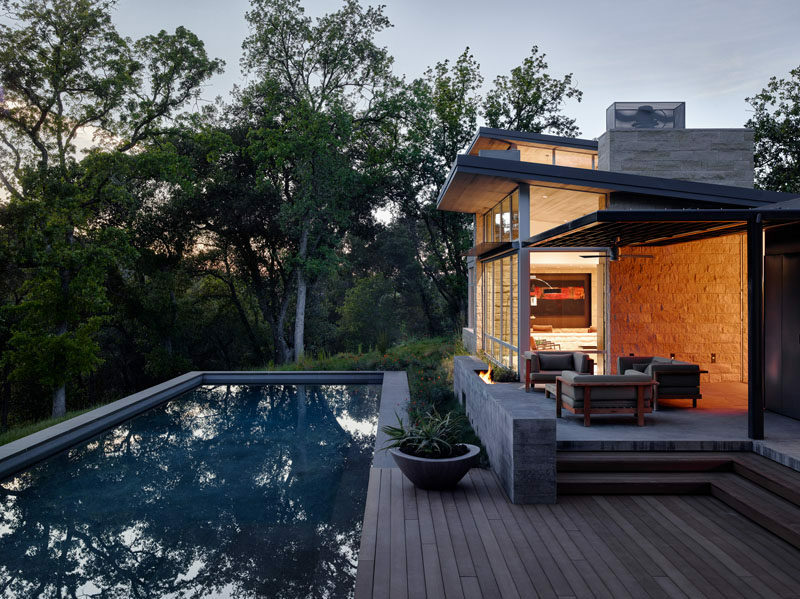 This weekend retreat, designed by Feldman Architecture, features pre-weathered corrugated steel cladding and buff limestone walls, and is located atop a ridge in the Santa Lucia mountains of Carmel, California. 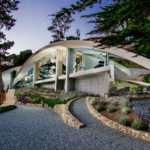 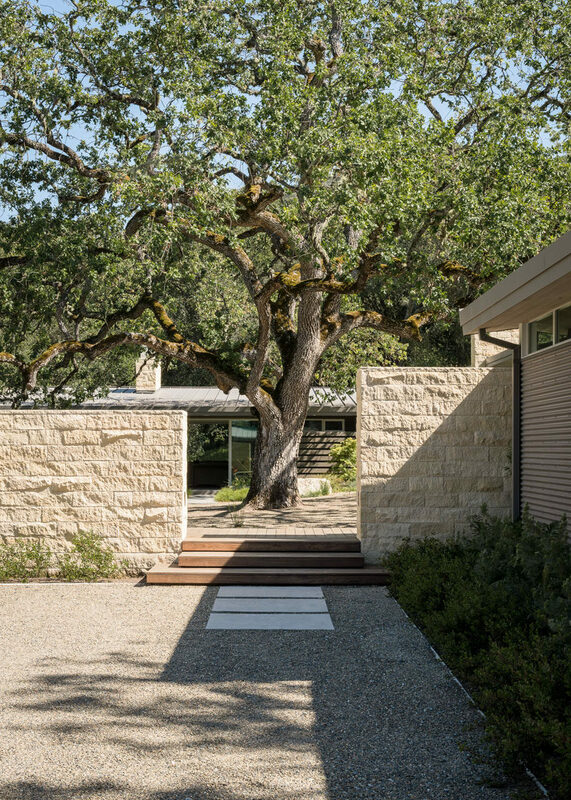 The home has been designed in a horse-shoe shape around a 100-year-old Valley Oak, that provides shade for the surrounding courtyard. 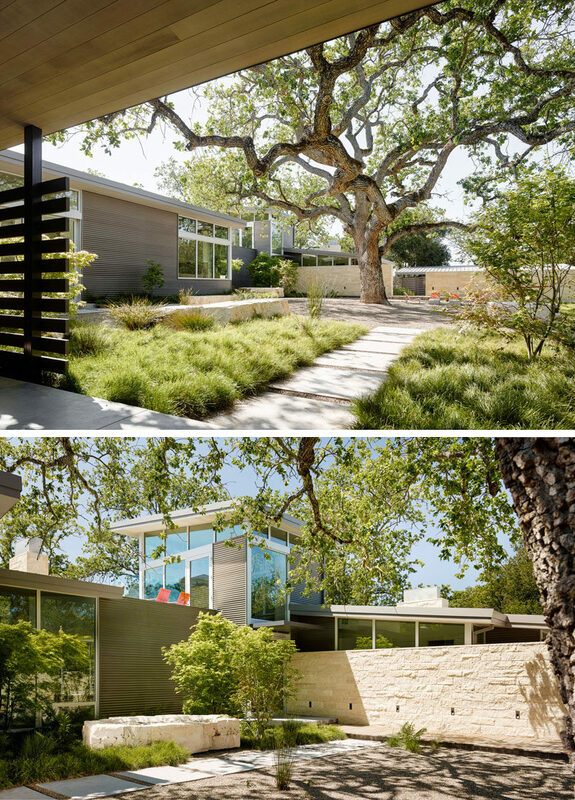 Various paths in the landscaped courtyard, designed by Bernard Trainor + Associates, lead to the different areas of the home. 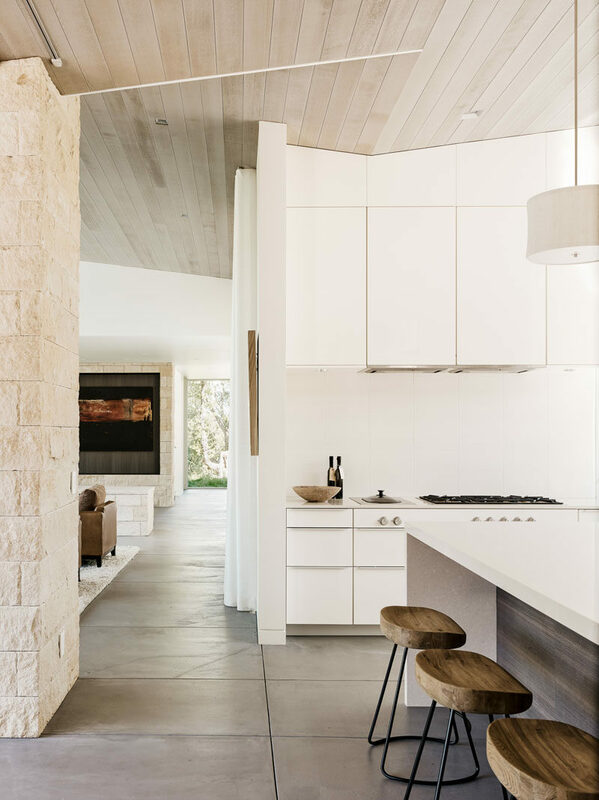 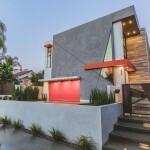 The interiors, designed by Toni Ambus Design, feature an interior palette of cedar-clad ceilings, oil-rubbed steel, and exposed concrete floors. 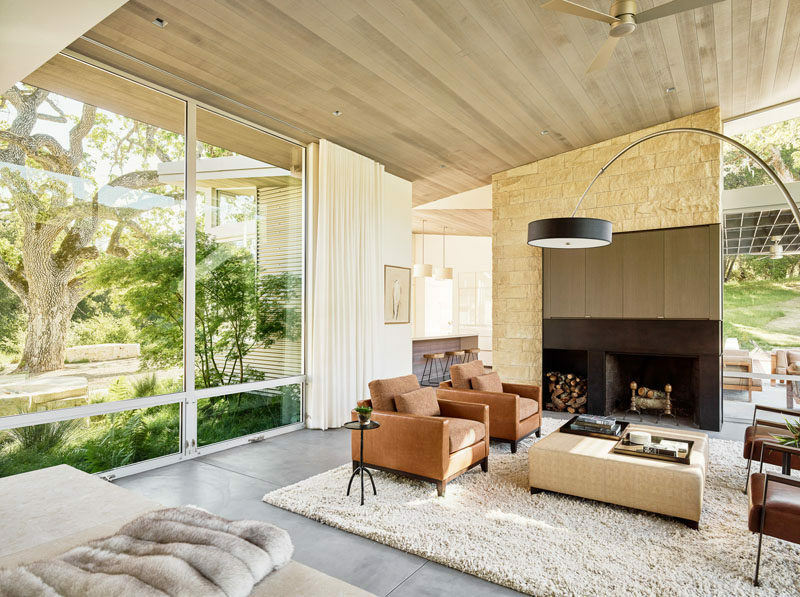 Large floor-to-ceiling windows contribute natural light to the living room. 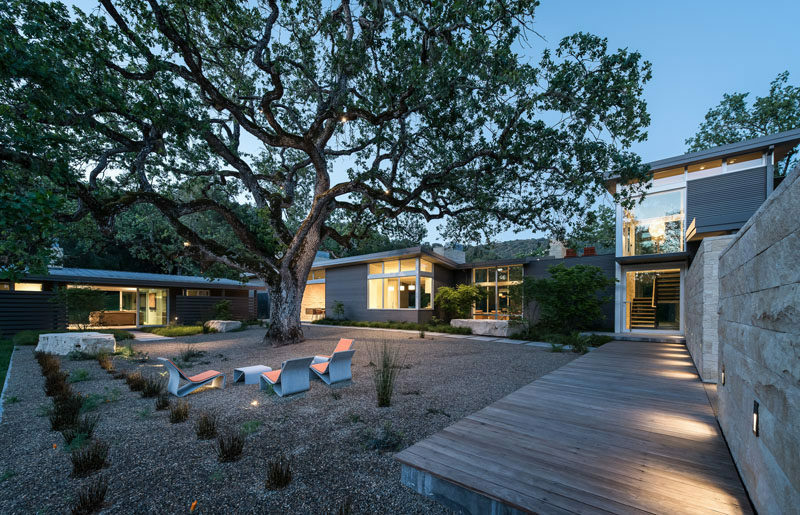 Next to the living room is the kitchen that’s full of white cabinetry and a large island, whose windows face the courtyard. 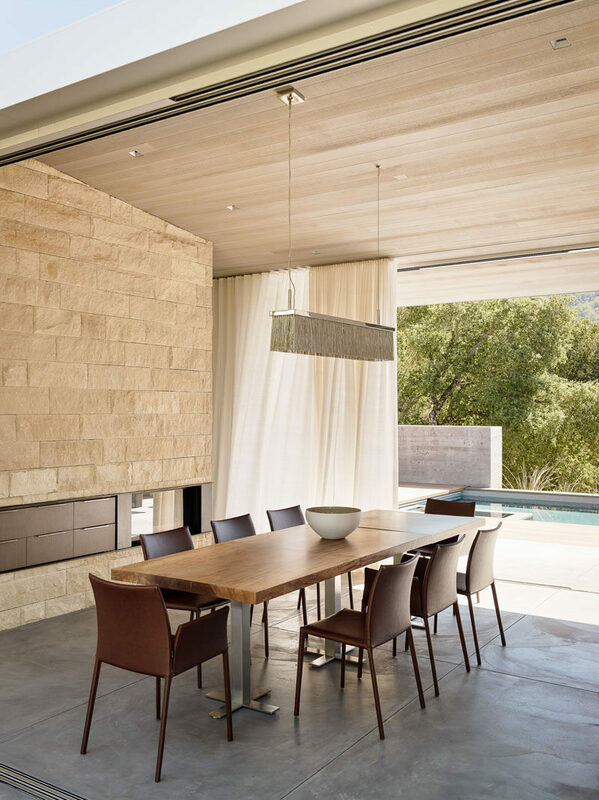 Further on from the kitchen is the dining room that opens out to the swimming pool and outdoor dining area. 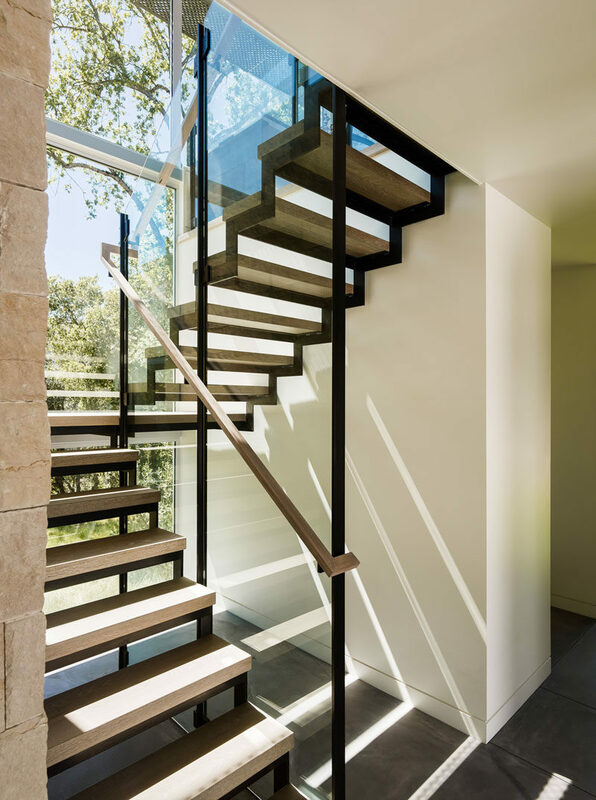 Wood and steel stairs lead you to the upper floor, with large windows flooding the area with sunlight.